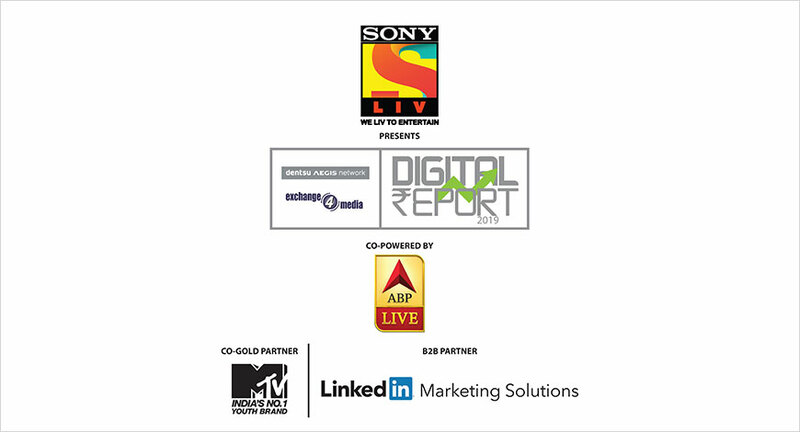 The third edition of the Dentsu Aegis Network- exchange4media Digital Advertising Conference and the unveiling of the Digital Report will be held on Wednesday, January 16, 2019, at the Four Seasons Hotel in Mumbai from 3 pm onwards. Dentsu Aegis Network, one of the leading global media conglomerates in India that specialises in Media, Digital and Creative, is ready to launch the annual edition of the Dentsu Aegis Network-e4m Digital Report. The report will be a comprehensive compilation of real time facts and figures pertaining to the entire Digital domain. The evening will began with a Fireside Chat with Rajan Anandan - Vice President South East Asia & India, Google along with Vivek Bhargava - Chief Executive Officer, DAN Performance Group on the topic '3V's of Digital: Video, Voice and Vernacular'. This will be followed by Owners Panel Discussion on ‘Digital Beyond Marketing’ moderated by Ashish Bhasin - Chairman & CEO South Asia, Dentsu Aegis Network with panel members Ajoy Roy-Chowdhury, Global Agency Lead - EMEA, Facebook; Arnab Goswami - MD & Editor In Chief, Republic TV; Avinash Pandey - Chief Executive Officer, ABP News Network and Puja Pannum - Managing Director, MENA – Blis. After unveiling the DAN-e4m Digital Report, a speaker session on ‘Transforming the Election Coverage on Digital’ will be conducted by Umang Bedi - President, Daily Hunt. This will be followed by Brands Panel Discussion on ‘Digital Beyond Performance’, which will be moderated by Shamsuddin Jasani – Group MD, Isobar South Asia along with panel members Pradeep Dwivedi - Group Advisor – Sakal Media Group; Sai Narayan - Head of Marketing, Policybazaar Group and Vikram Tanna - VP, Head of Advertising Sales and Business Head of Regional Clusters – South Asia, Discovery Communications India. The evening will conclude with a Marketers Panel Discussion on ‘Marketing in a post Digital World’ moderated by Virginia Sharma - Director, Marketing Solutions, LinkedIn along with panel members Anuradha Aggarwal - Former Chief Marketing Officer, Marico; Gauravjeet Singh - General Manager - Media (South Asia), Unilever and Tarun Garg - Executive Director – Marketing , Maruti Suzuki India Limited.